Whether it’s for my own work, such as this year’s Overdraft: The Orion Offensive, or for any of the countless media tie-ins that I’ve done, I’ve spent an awful lot of time thinking about names. Just like the names for your kids, character names are things you’re going to have to live with for a long time. So you’d better be comfortable with them—and they’d better be easy to pronounce! Tuckerisms tend to be forbidden in licensed worlds, for good reason: you don’t want your friend to wake up trademarked by Disney. Very early on I discovered that any character, however minor, wound up with his or her own page on Wookieepedia within moments of publication. So any tributes I’ve done have tended to be so light as to be imperceptible, even by the people being noted. My sister’s kids’ first initials, advancing letters in the infamous HAL-to-IBM style, became the name of a villain in one story. I won’t tell anyone if you won’t! It’s important to think about duplication of first letters and sounds in names, for clarity’s sake. You don’t want Sam, Sue, and Cyril in the same story. Science fiction worlds give you a lot of opportunity to go off the usual Scrabble dictionary: Overdraft features the villainous Kolvax of the Xylanx. 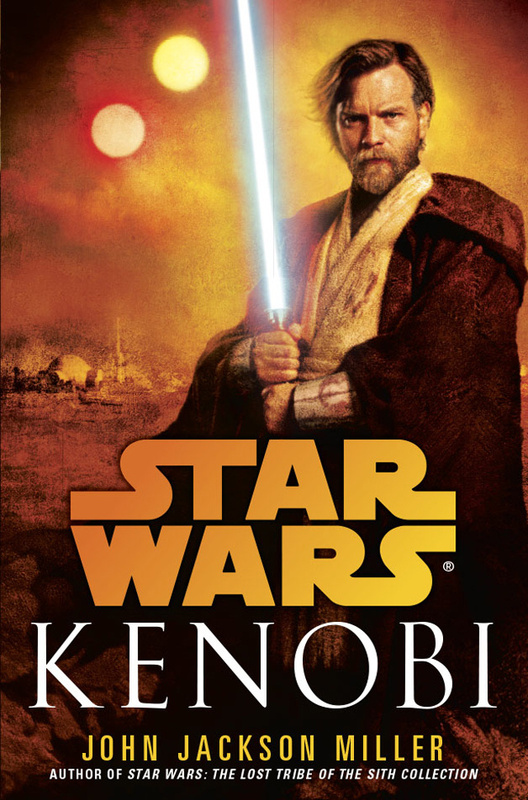 Probably the most eye-opening — or maybe ear-opening — experience in this regard was getting my first two audiobooks recorded this year, for Kenobi and Overdraft. Knowing they were coming made me think hard about what names I wanted to use. When someone’s in a studio having to repeat your names again and again, it tends to make you more careful! That’s why if there’s one thing I don’t do, it’s use names where the pronunciation is obscure solely for the sake of seeming alien. Qo’Vroa-hath’u might be a great guy to pal around with at the space station, but he’s going to need a nickname if we see him more than once! So think carefully about what you name your characters: they usually can’t apply for new ones! John Jackson Miller on Twitter, Facebook, and Web. The next guest on the blog is Freya Robertson, and her post will go up this coming Thursday on the 23rd. The full schedule can be found here. Posted on January 20, 2014, in Debut Authors Guest Series, Guest Posts and tagged Comics, Dark Horse Comics, Debut Authors Guest Series, Del Rey, Guest Posts, Jedi, John Jackson Miller, Kenobi, Knights of the Old Republic, Lucas Books, Names, Names A New Perspective, Novels, Obi-Wan Kenobi, Overdraft: The Orion Offensive, Sith, Star Wars, Star Wars Expanded Universe, The Force, The Importance of Names, The Lost Tribe of The Sith, The meaning of Names, The Significance of Names. Bookmark the permalink. 2 Comments.